Other pieces of the plane, such as the tail fin seen in this file photo, were recovered from the crash site in 2009. (CNN) -- Search teams have found the tail section of Air France Flight 447, two years after the jet plunged into the Atlantic Ocean, victims' families say. Robert Soulas, whose daughter and son-in-law were killed in the 2009 crash, told CNN he and other relatives of the 228 who died were given the news at a meeting with the French air accident investigation agency (BEA) in Paris. Agency head Jean Paul Troadec told the families the piece of wreckage included the area where the flight data recorders should be, but he could not confirm whether they had been found. Even if the "black boxes" are recovered, experts say there is no guarantee they will still work, after so long under water. "Pressure and corrosion have likely damaged the wreckage, especially as it has been down there for so long," said David Learmount, of Flight International. Q&A: Will the Air France mystery ever be solved? "Flight recorders are not designed to withstand pressures of the depths that this aircraft actually went to." 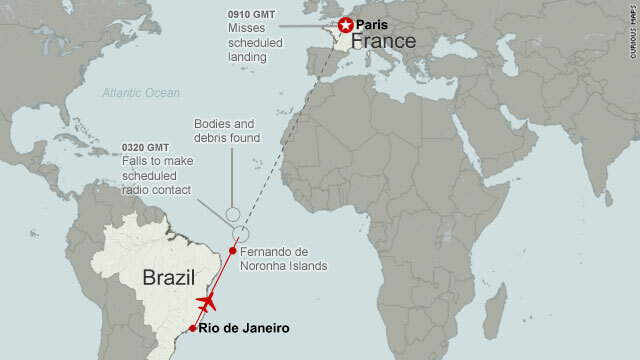 All 228 passengers and crew on board Air France Flight 447 were killed when the plane disappeared on its way from Rio de Janeiro in Brazil to Paris, France, on June 1, 2009. The Airbus A330's pilots lost contact with air traffic controllers while flying across an area of the Atlantic Ocean known for its storms and turbulence. 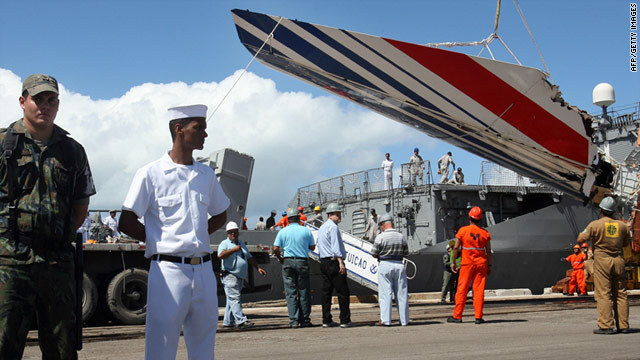 The BEA says the Ile de Sein, the ship charged with leading efforts to recover the jet's remains, is set to leave Cape Verde for the crash site on April 21. Soulas, the vice president of a support group for victims' families, said he and others in his group were disappointed that relatives had not been invited to join the latest recovery operation. "I'm frustrated because we really wanted to have someone on board, especially as this is not just a question of retrieving parts of the plane, they will also be retrieving bodies," he told CNN. Soulas has previously called for the bodies of those killed in the crash to be left on the sea bed, rather than brought to the surface, which he fears will reopen old wounds for the bereaved.